[Spring quality] Shibu spring quality is various. Water-white 80 ° Simple spring Water-white 48-93 ° Weak alkali included hot brine spring 62 °, 85 °, and 98 ° A sodium calcium salt ghost, sulfate hot spring, etc. 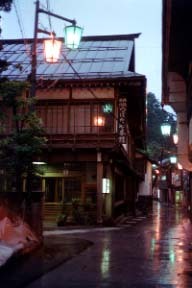 The shibu and Yudanaka Onsen said to have carried out the Founded or started to use this hot spring about 1300 years ago (Nara period) are hot springs where a long-established Ryokan is full of the sentiment which left many simplicity [ many ] of the hot spring of a mountain.There are nine public-baths in a shibu, a take a bath one another while stamping a stamp on a towel passes pain (9) trouble, and the divine favor of charm against misfortunes, an easy delivery, and perpetual youth and longevity has an enough and popularity. They are an enough travelers' guardian deity and the fountainhead in shibu Jo Oyu. 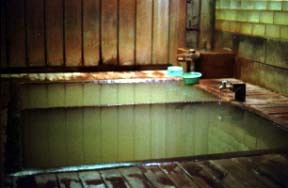 The footbath newly established next to Oyu. Shibu spring quality is various. 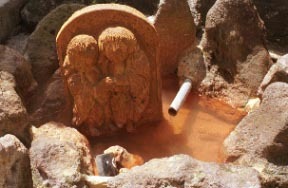 62 °, 85 °, and 98 ° A sodium calcium salt ghost, sulphate hot spring, etc.